Going with an alternate strategy in Saturday’s race in Tasmania saw Tim Slade tear though the field at the end of the race to earn his first top 10 finish with Brad Jones Racing. Approaching this weekend’s WD-40 Phillip Island SuperSprint, engineer Julian Stannard says he and Slade are still working on their “driver-engineer language” but are settling in more each race. 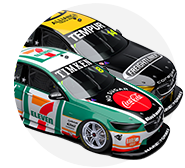 “Tim has slotted himself nicely within the team’s culture and has spent quite a number of hours at the workshop so far this year,” Stannard told v8supercars.com. 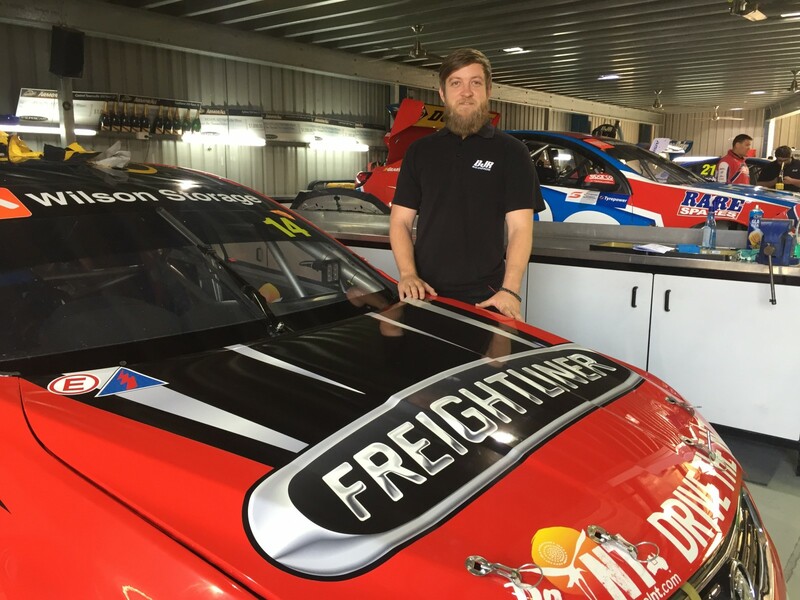 After two seasons at Walkinshaw Racing, Slade continues to learn the characteristics of his Freightliner racer. “We are working together to understand the differences between a BJR car and what he has been accustomed to driving,” Stannard said. Stannard explained the ins and outs of the seaside Phillip Island circuit ahead of the weekend’s racing. Fast flowing and high speed, the V8 Supercars are in the order of 290km/h on the front straight at Phillip Island. “The corners are generally quite long with a lot of lateral load,” Stannard explained. “You spend a long time gently feeding on the throttle and the car is required to continue to rotate. There are exceptions; turn 4 (Honda) and turn 10 (MG) are tight first or second gear right handers with tricky braking zones leading into them. Each car has different characteristics and the Freightliner engineer explained what he expects to suit the BJR cars, and what they will need to be mindful of. “In the past we have found our cars have good high speed stability as they roll out of the truck and we feel we have good pace in the wet. For safety reasons, only the Dunlop hard tyre is allocated at the circuit. 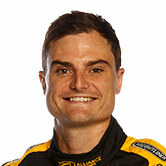 “With high sustained lateral loads, the tyres have a hard time at Phillip Island,” Stannard said. “The right front tyre traditionally does quite a lot of work and we have seen some failures in the past with this tyre before the minimum 17psi rule was introduced. Aerodynamics play a key role at Phillip Island. “Having the correct aero balance is half the challenge, especially as the wind can change session to session or day to day. “A lot of the mechanical setup needs to work in conjunction with these high speed corners and tuning a car that is balanced under brakes and gives the driver confidence to push. “As most of the passing happens at Honda and MG, it is crucial that you have a car that can both attack and defend at these places, so you need a car that can be fast in both high and low speed corners. Friday may raise more questions than usual, as teams do not have a ‘give back’ set of tyres, which gives them the chance to run on fresh rubber in a qualifying simulation. “There will be some unknowns across the field about each other’s competitiveness and what quality practice tyres everyone has,” Stanndard explained. Teams can take three sets of pre-marked tyres this weekend, and Stannard suggests most will run the best of those sets at the end of practice two on Friday, and then again in the short 15-minute Saturday morning session before qualifying. Degradation is quite high at the circuit – Stannard says about 0.03sec a lap. “With high sustained levels of lateral acceleration, the drivers slowly feed on the throttle to run at the edge of lateral tyre grip lap in and lap out. “The higher downforce the car achieves with Phillip Island’s high average speed means you have more lateral grip to play with and higher forces on the tyres. “A balanced car setup generally looks after its tyres well, as you don’t have to use one end of the car more to make it rotate. Saturday’s revised format continues at Phillip Island, and Stannard prefers the new 15-minute qualifying session, which gives drivers time to run on two sets of tyres and tweak the car if required. Stannard believes this is a more accurate showing of speed, with less chance of a driver snagging a clean lap in the frenzied last few minutes. While qualifying at the front is always the goal, placing in front of your teammate gives a clear strategy advantage. “Having first priority to get serviced allows you to focus on racing the guys around you and the ability to roll the dice on strategy if you want,” Stannard explains. Teams will be able to split strategy between the two cars and Stannard expects those who qualified second to their teammate will pit when the window opens on lap five (if not affected by safety car). “The remainder of the field I think we will see stag their pitstops from there on. “Some will pit early trying to jump or defend from the guys who have just pitted or who they are racing in search of clean air. The Freightliner engineer explained how tyre quality comes into play. “With only the hard compounds tyres on offer, the lap time disparity required to facilitate easy passing is in the order of 0.5sec. The V8 Supercars will need to make at least two pit stops to take on the required 120L fuel drop. The tyre allocation means cars should start the race with three good sets of tyres. Stannard explained his take on strategy. “The fastest way to complete the 200km race would be to split it in to equal thirds to maximise each set of tyres,” he said. “However, to defend against the crippling double stack, my bet is you will be seeing quite a number of each team’s second cars pitting very early in the race and looking for clean air. “This strategy, of course, means you are doing the majority of the race on only two sets of tyres, but there is now no risk of double stacking under a Safety Car and losing out big. “The lead cars will be looking to more equally split the race up into thirds, but as we have been seeing more and more of, short filling your first stop means you can place yourself in front of slower cars and avoid being held up through the middle stint. Maximising this stint is key. There is a chance some may try and run long in the middle stint, banking on Safety Car intervention. “These are the cars that could make good gains in the right circumstance. “A late Safety Car means they will be pitting while the field is driving slower, they will pop out with newer tyres than everyone else and with the field all bunched up; there is now good opportunity to make positions. To make it home on fuel, a car will need to take its second stop after lap 14. Sunday stacking could be a real issue if the Safety Car comes out early. Stannard explains the 120L fuel drop means there is no reason to start the race with a full tank of fuel. “This means that even on lap one you can pit and put 21 seconds of fuel in the car and it’s in the window. “With this in mind, you can see how dangerous it is being the second of the team’s cars and in risk of a safety car. A narrow pit lane means, in short, chaos. “It’s extremely difficult to find enough space to service a car, have a competitor stack beside a pit box and leave enough space to allow another car to pass down the fast lane. 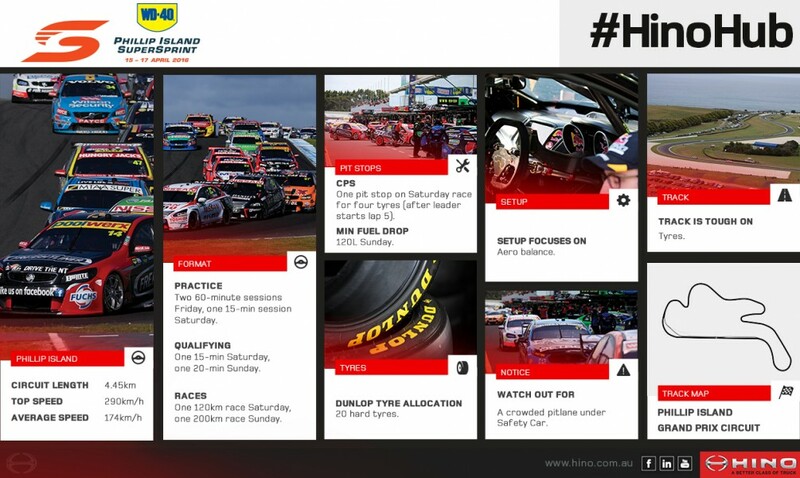 Stay tuned to this weekend’s V8 Supercars racing from the WD-40 Phillip Island SuperSprint. Click here for telecast information on both FOX SPORTS and Ten and One.